Hundreds of youngsters in our District take part every year in our youth competitions which in most cases start at club level and go on to a District final. Many go on from there to regional heats followed by a national final. The majority are categorised into junior, intermediate and advanced age groups. Music is an international language and we encourage talented young people by providing this opportunity to demonstrate their musical skills. Clubs organise the initial competition within their area and the winner can progress through district and regional finals to the national final. 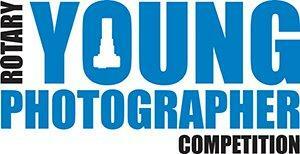 Photography is a talent and an ever popular art form. Entrants submit three photographs on a theme in black and white or colour, along with a description of the inspiration for their photographs. A flair for creative writing is a special gift and this competition promotes and encourages the work of young people who show talent. 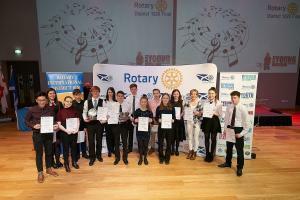 The winning writers are subsequently published in Rotary magazines. Teams of students interested in engineering and science compete in a one day event to devise and build a solution to an unseen technical task. Solutions are tested and judged against competing teams. 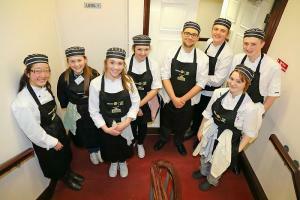 Cooking amongst young people is a valuable life skill. Sponsored by Filippo Berio, contestants prepare and present a three course meal within a pre-set budget and time limit, which is judged by an expert panel. We encourage speaking and presentation skills in young people and this competition showcases superb quality speakers. 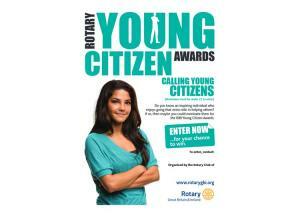 The Rotary Young Artist Competition is a relatively new competition organised by Rotary District 1020. Now in it’s fourth year, it will be a two-stage competition designed to support and encourage the development of fine art skills. 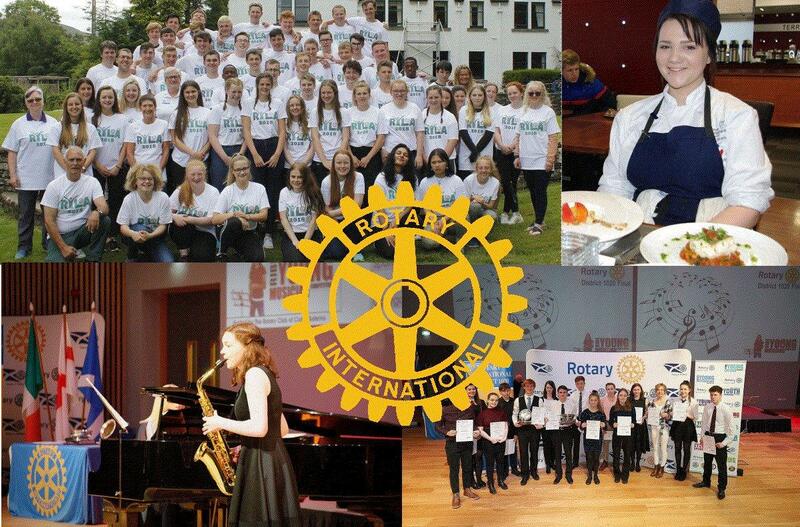 RYLA's (Rotary Youth Leadership Awards) aim is to encourage the development of teamwork and leadership skills in young people who have the potential to be future community, professional and business leaders, on a week-long residential and outward-bound course. 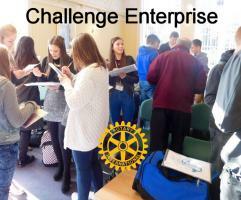 Challenge Enterprise focusses on problem-solving and business leadership skills on a weekend residential course with various tasks and talks by influential Scottish business leaders. 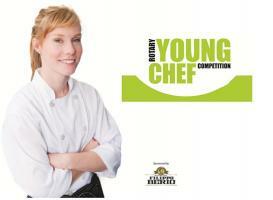 Emma Grant, sponsored by the Rotary Club of Cumbernauld, takes the Rotary in Great Britain and Ireland Young Chef title.